I have social, why do I need a website? And sometimes, that moment of hesitation is enough to make a customer change their mind about placing an order. With social media pages as your only internet presence, you’re missing sales opportunities every day. There’s so much more you can do with a professional website that you can’t achieve with social media pages alone. Read on to learn how a business website, even a cheap website, can help your sales to skyrocket. Your website is the one central place for all your social media profiles to lead back to. Your website is the central hub for the brand you’re building, and ideally your domain name will match either your brand name to be most memorable. Your website is where customers can browse and buy your products. Your website lets you collect customers’ email addresses and permission to send offers and updates. Your website is where the magic happens. It’s convenient for your customers when the entire sales process happens in the same place. Because every time a customer clicks away from your website, there’s a chance they’ll get distracted by another web page, another online store, or life in general. And they might never come back. So make it easy for them to buy from you, with as few clicks and pages as possible. Next we’ll talk about why it’s best to keep your sales process within your own website rather than a third party sales platform. Selling products through third party online stores like eBay, Etsy or Amazon is a low-commitment and low-cost way to test out your market and refine your product offering. You can list as little as one product, keep a small amount of stock, and see what happens. But when your only online shopfront is a third party eCommerce platform, you’re putting your business in someone else’s hands. There are risks in the third party sales model. You might end up paying high fees to the platform to list your products. There can be tight rules about how you can advertise, where you can ship to, and how much stock you have to hold. What happens if the third party store decides to increase fees or changes the rules? Amazon opened its Australian warehouse in December 2017, then Amazon announced that it would block sales on the US/international website for Australian customers from 1st July 2018. That meant Australian customers who wanted items shipped to their Australian address would only be able to shop from the Australian website. It also meant that the international site would no longer ship to Australian addresses. For small retailers, this meant a change in how they sell on Amazon’s third party platform. Retailers who were already reaching a worldwide audience on Amazon US now have to list their products on Amazon AU as well if they want to sell to Australian customers. It’s more administration for retailers, and many retailers didn’t bother setting up new listings on the Amazon AU site because our population is lower, and therefore our market is smaller, than US, UK, Europe and Asia. This is a huge loss for Australian customers, because there’s far less choice on the Australian site. Amazon AU has around 60 million items, whereas Amazon US lists 600 million products, and Amazon UK lists 400 million products. 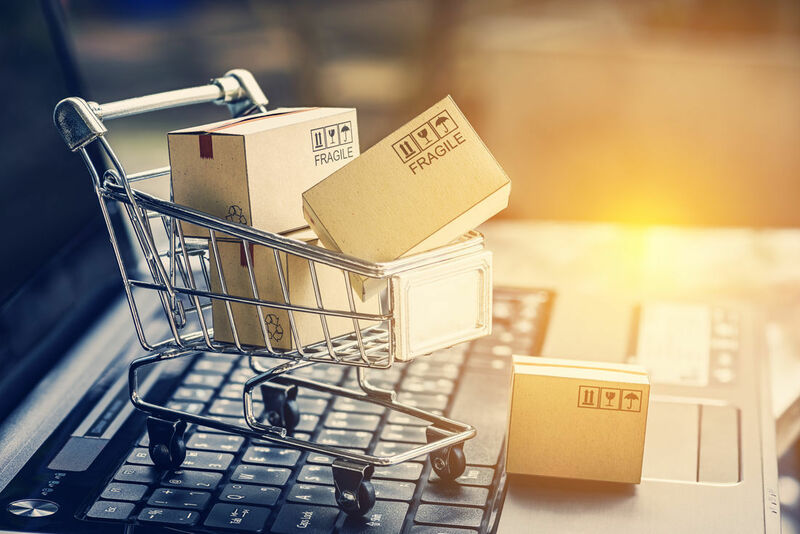 The outcome for consumers is that prices for the same items have skyrocketed on the Australian site, even after currency conversion, GST and shipping costs were accounted for. This has led Australian consumers to accuse retailers of deliberately price-gouging Australian customers who can no longer buy the products cheaply overseas. You see, these are just some of the ways big third party sales platforms can gouge and control small businesses and customers. On a third party site like eBay, customers can disappear down a rabbit hole, getting distracted by other products – and you might end up losing the sale to another business. When you have your own eCommerce site, you can link your existing social media profiles to your eCommerce website. This funnels all enquiries to the same place and encourages visitors to poke around on your site looking at other items to add to their cart. You might even sell several items to the same customer – a bigger win! When you own the shopping cart on your own website, you can also set up processes like abandoned cart email sequences. This helps to capture lost sales by sending a reminder email to customers who start to check out then abandon the process. (Read more about this feature in tip 8 of our conversion rate blog). When you want to rank well in search results, social media pages severely limit your chances to rank. You’ll see Facebook pages rank in the top results for online groups, but you’ll rarely see high-ranking Facebook pages for products and services. The same goes for Instagram profiles; they’re absent from the high-ranking spots. With social media pages, you might be able to rank for what your company does overall, with a link to your main profile page or about page, but it’s nearly impossible to rank for specific products, which means you’re missing out on huge amounts of traffic and potential customers. You see, search engines favour website content, and that’s good news because you can use this to your advantage. Your website can include one product description page for each product, which gives you one more chance to rank to rank for every product on your site. That means you could rank for hundreds of different products, and hundreds of specific keywords or search phrases. The more detail your customer uses to search, the more likely your website will show up as a match. Customers generally get more specific with their search the closer they are to buying. The good news is, you can use this to your advantage. If a customer searches “baby gifts” they’re probably at the stage of just looking for gift ideas. It’s incredibly difficult to rank in the top 10 results for such a broad search term (but that doesn’t mean you shouldn’t try!). But when a customer knows exactly what they want, with a more detailed search like “baby gift hamper delivery Melbourne”, they’re getting very close to buying. Those are the kind of terms you want to show up for: in these specific results, social media pages are nowhere to be seen. That’s why you need a website. Whether it’s baby gifts or any other product, product description website pages far outrank any social media pages at the moment when the customer has their credit card out, ready to spend. 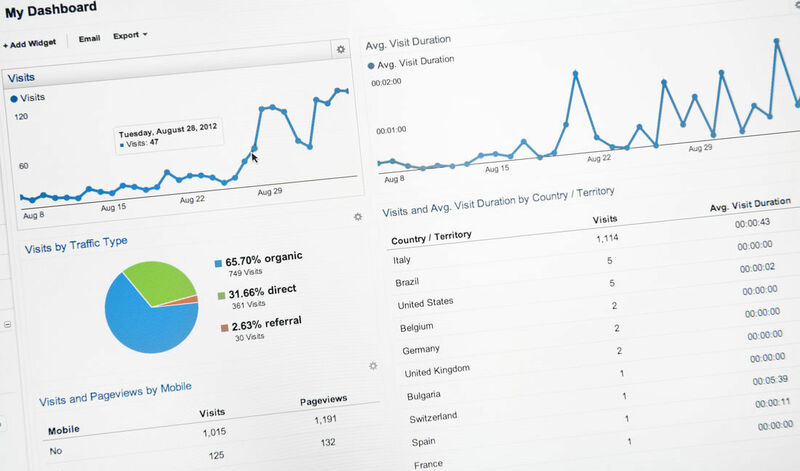 For more information about how search engines and rankings work, see our blog post here. There are lots of ways to advertise to customers who have visited your website. How many times have you browsed for a product, decided not to buy it yet, then the next day (or even later the same day) you saw a sponsored post in Facebook or Instagram for the same company or product? Us too. It’s like Facebook can read our minds. A customer visits your website via a Google search for a product. They have a look around but they don’t buy anything today. If the customer is logged in to Facebook on the same device, you can use a Facebook Pixel to show specific ads to that customer. In fact, the more specific your ads can be, the better. If the photo carousel shows the exact same products the customer browsed, including the price and photos, that’s the best gentle reminder about the products they looked at. If the customer clicks the ad, it takes them to your website to view the products again. This time, they might be ready to buy. As the business owner, you pay a small fee each time a customer clicks on your ad. That’s why it’s called Pay Per Click or PPC advertising. It’s a cheap way to re-engage customers who were just browsing for ideas last time, but who are ready to buy now. PPC advertising costs for most retail products range from a few cents per click to a few dollars per click. More competitive markets and more expensive products generally charge a higher cost per click – the CPC for life insurance ads can run up to hundreds per click! Quite simply, with your own website you can increase your sales by using clever marketing. Even if your website is a cheap eCommerce website, there are so many more options available for marketing compared with only using social media for your business. When you’re ready to get started on your new professional website, get in touch with our affordable website design experts on 1300 367 009.